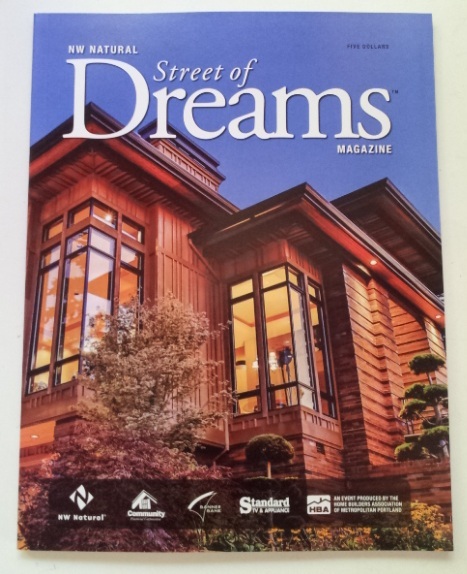 Bernard Custom Homes and Rick Bernard are proud to announce that last’s year’s Street of Dreams “Best of Show” custom home is currently featured on this year’s Street of Dreams magazine cover. Last year, thousands of dreamers passed through the award-winning 20/20 2012 Street of Dreams Custom Home built by the team at Bernard Custom in West Linn, Oregon. The unique custom home maintained a beautiful and clean Asian line and harmony from the outside through the 3 bedroom and 3 1/2 bath multiple level home. The $1.3 million home featured iron and mahogany rail systems, mahogany doors and trim, an open yet intimate feel with wall and roof skylights, a 3-sided fireplace, and complete outdoor entertainment center. For the future, an elevator shaft was set in place in the central core of the home. The 20/20 custom home was the 20th home built by Rick Bernard and Bernard Custom Homes in the Street of Dreams, a record-breaking honor for the Pacific Northwest builder, Rick Bernard. Last year was very special, honoring my 35th year as a custom home builder and my 20th home in the Street of Dreams. It was only appropriate to name the home 20/20, a reflection on such an amazing career. 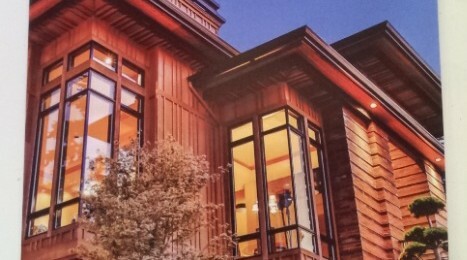 How far we have come in the custom home building industry – I am so impressed with this year’s custom homes. Congratulations to all! This year, there are nine custom homes from top custom home builders from Oregon on display at the Street of Dreams just outside of Portland in West Linn. ← Q & A – Do I Want a Younger Builder or an More Experienced Builder?